A superb sheepskin trench coat in tan and cream. 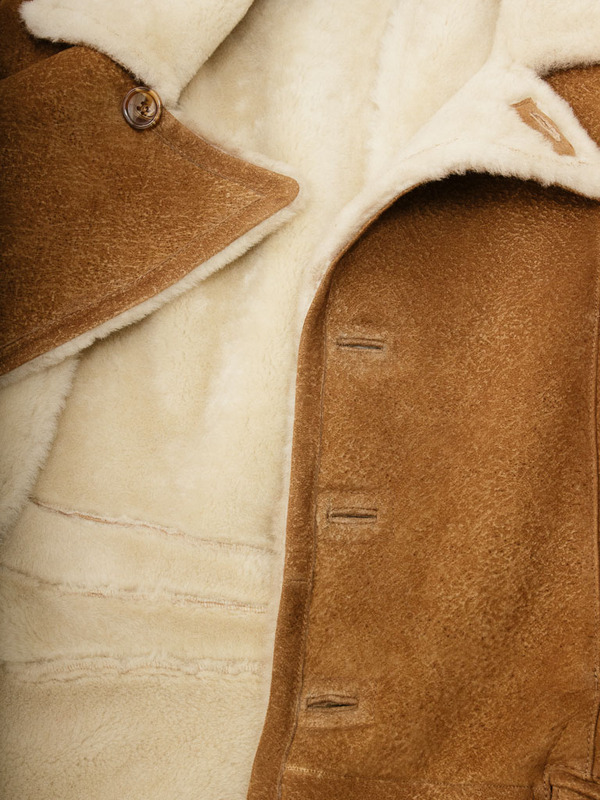 The return of the sheepskin has been one of the key trends this season. 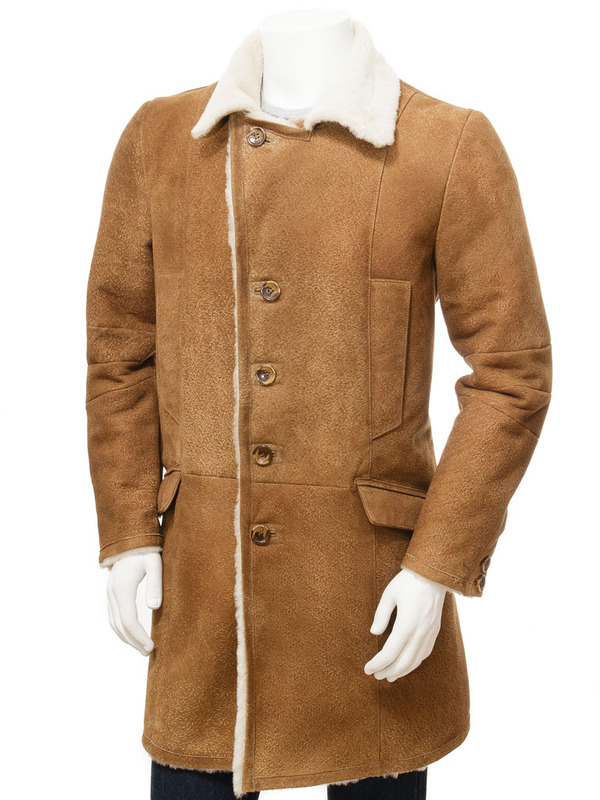 This design takes the classic trench coat in a single breasted block. 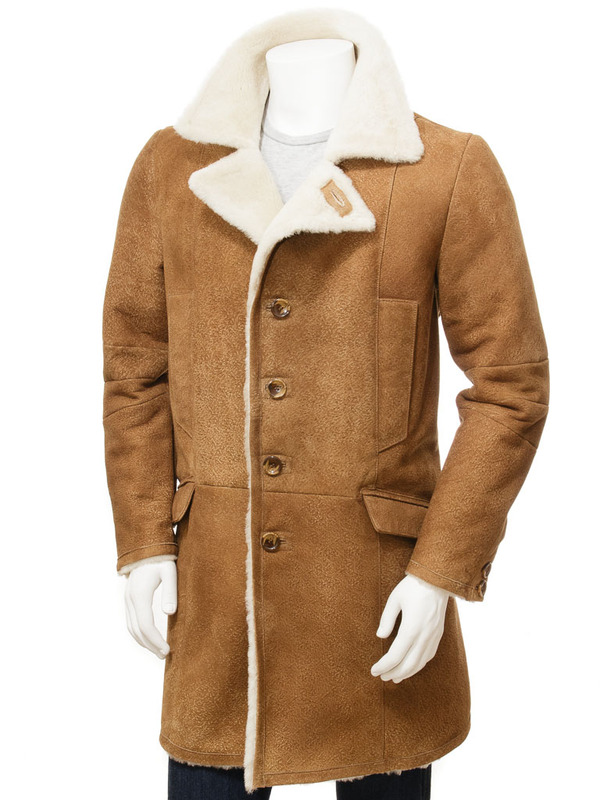 A total of five buttons allow the coat to be fastened to the throat while wide, generous notched lapels can be folded up as extra protection from chill winds. 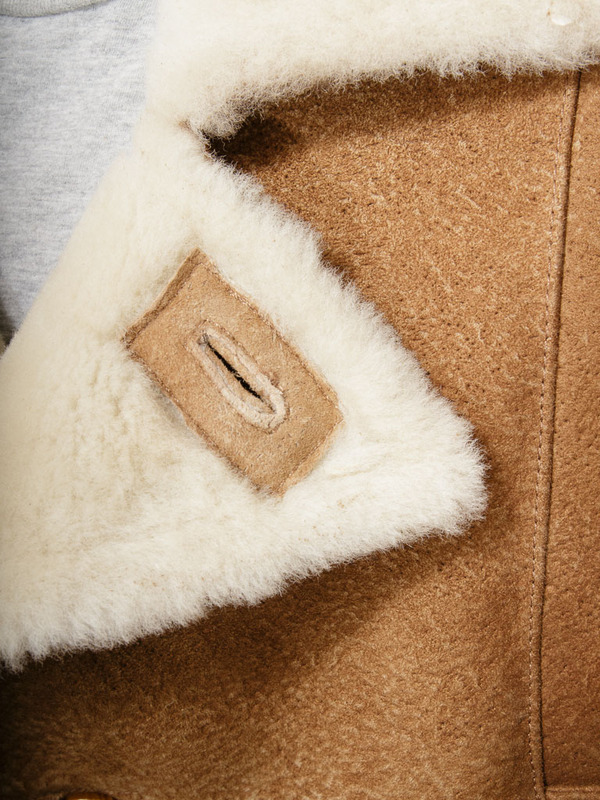 There are two angled handwarmer pockets at the waist plus a further two horizontal flapped pockets on the hip. 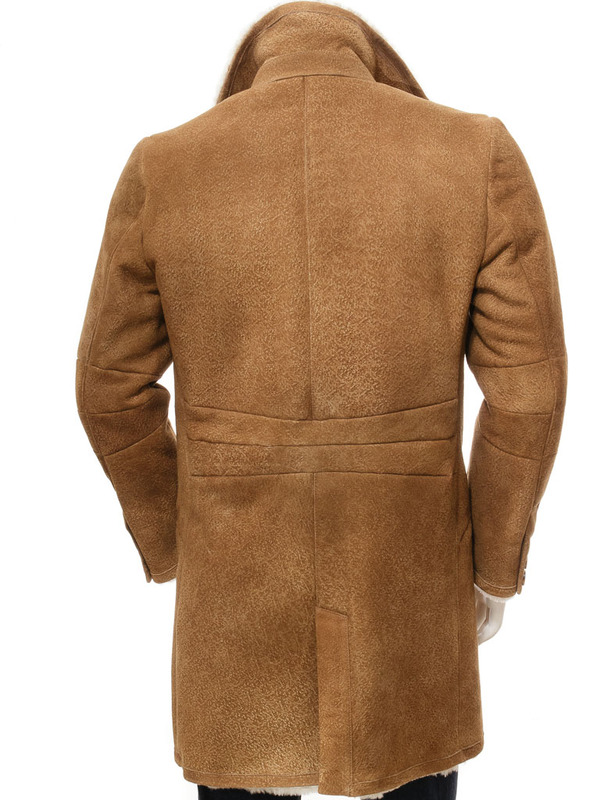 The cuffs feature working button gauntlets while the rear of the coat sports a single vent for ease of movement. 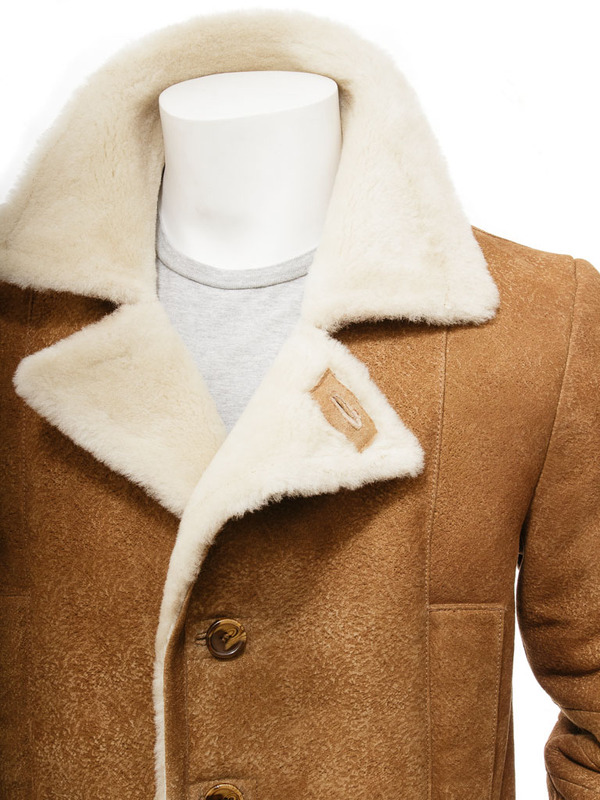 Like all genuine sheepskin jackets, the woollen fleece side of the skin creates a warm, luxurious interior to the coat.